This is series on couples – street photography capturing two people – which for lack of anything more imaginative I have named the Odd Couple series, when in fact they may, or may not be odd. I’ll leave that to the viewer. Please click on image for a better view. Taken in Bratislava, Slovakia. For my solo series click here. Love it, I hope he has a good view! 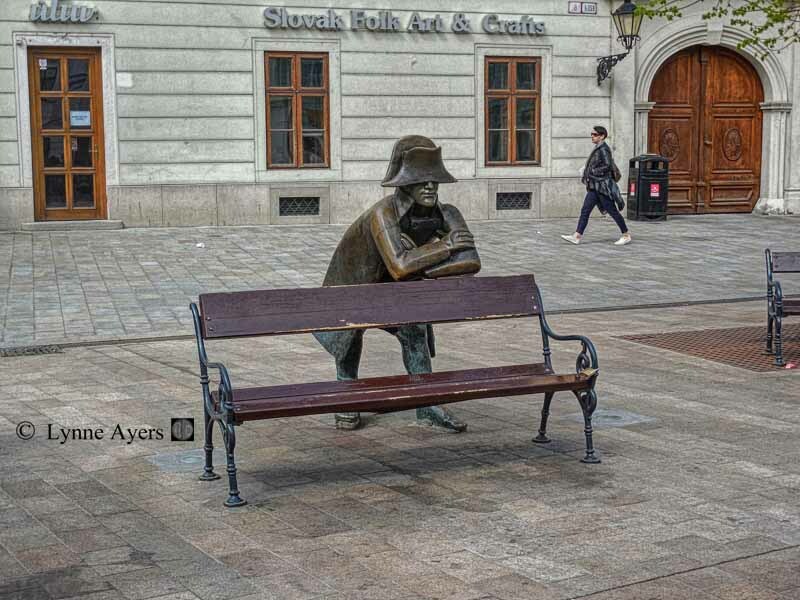 Yep, he’s turned into a statue because he’s had to wait so long…..